Melbourne Event Training Courses. Learn event management. Event management students get a behind the scenes look at the Melbourne Convention and Exhibition Centre. 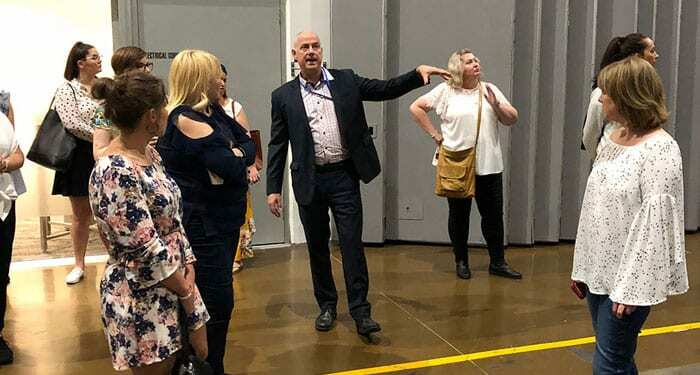 As part of their training program, participants of our Melbourne Executive Certificate in Event Management (Business and Public Events) went behind the scenes at the Melbourne Convention and Exhibition Centre. the various types of events the facility can host. They also had the opportunity to explore the venues recently opened extension. 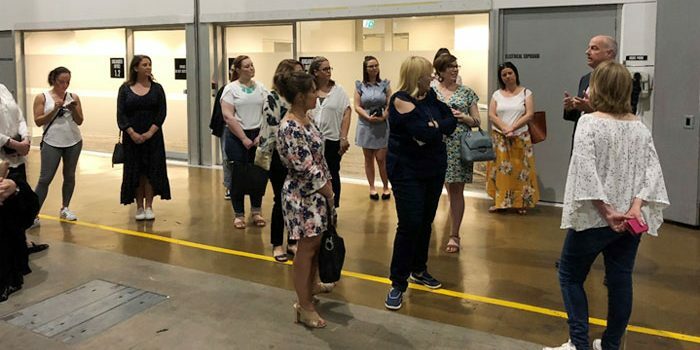 Students at our Melbourne event training course get a behind the scenes look at the Melbourne Convention and Exhibition Centre. This four-day Executive Certificate in Event Management Course (Business and Public Events) held in Melbourne is based on an extensive survey of event industry professionals. The program is specifically designed to both enhance the skill and knowledge base of those already employed to plan and deliver events and to serve as a sound platform for those people seeking to launch careers in the exciting and varied field of event management. Who are our Melbourne event management course designed for?